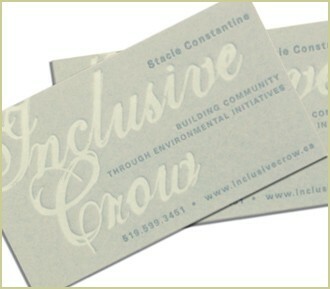 We've heard that Inclusive Crow hand printed cards vanish from promotion tables almost instantly! Next in the development of this fledgling organization's identity? Inclusive Crow's CMS-enabled site – proposed for early 2010. For more on the cards, see design notes.